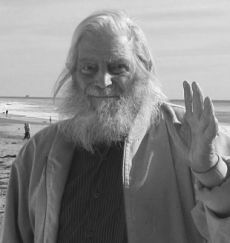 Nels Fridjof Lee passed away December 23, 2015 at Sarah House in Santa Barbara, surrounded by the love of many family members. He was born in Jevnaker, Norway on March 8, 1914. He grew up with six older brothers on a farm that his parents homesteaded near McGregor, North Dakota. He remembered clearing rocks from three quarter-sections of land, plowing and hauling water with a team of horses and making the 7-mile trip to town in a sleigh during many blizzards. He and his brothers were baptized and confirmed in the Norwegian Lutheran Church. He attended one year of college, but had to move back to the family farm to help his father in the 1930s, losing 4 years of crops to drought, hail and grasshoppers. After moving to Shelby, Montana in 1937 to work in the oil fields, he married his first wife Lilah Irgens in 1940. His son Jerry and daughter Sharon (Moniot) were born there. His second marriage, to Helen Rittenhouse, took place in Great Falls, Montana in 1951 and they soon moved to Santa Ynez. Daughters Christy (Weir) and Jennifer (Seymour) were born in Santa Barbara. He always said the best decision of his life was settling in Santa Barbara to work for the California State Lands Commission as a petroleum production inspector. Working outdoors on the oil platforms and coastal oilfields was always a fulfilling adventure for him. The house he bought in 1959, near Hendry’s Beach, was his home for 56 years. What he loved the most was his garden, riding his tractor and digging in the soil, pruning fruit trees and canning fruit sauces. He could be found every weekend in his garden or workshop, constructing furniture and fixing tools and cars. He could build anything, repair anything and grow anything. Always comfortable in the kitchen, tri tip, pea soup and lefse were his specialties. A member of the Elks Lodge for over 70 years, Nels enjoyed many bowling and golf trips with his “brother Elks.” He was very thankful to his regular poker-playing friends for so many “donations” over the years! One of his favorite excursions up to the age of 100 was to the Chumash Casino to play blackjack. Nels was also an intrepid cross-county driver, taking his family on many long road trips to explore the U.S. He was always generous with his time and money and loved helping his children and grandchildren in any way he could. His family and friends admired Nels for his determination, integrity and strength. He is survived and will be greatly missed by his four children, 8 grandchildren (Tammy Moniot Hamilton, Michelle Moniot Meir, Rick Moniot, Tisa Moniot, Erin Weir Bancroft, Jeremy Weir, Katie Seymour Piper, Kori Seymour Cohen), 15 great-grandchildren and one great-great grandchild.